Hello friends! Debbie Sherman with you today! 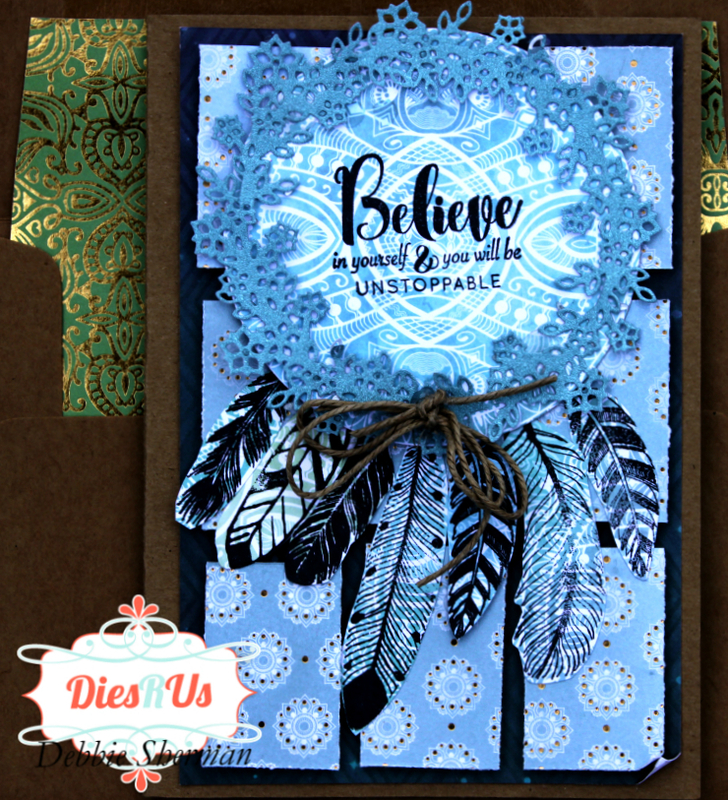 Today I'm sharing a new card for Dies R Us. I wanted to create the look of a dream catcher so I simply die cut my wreath from some blue glitter card stock and adhered it to a piece of bohemian patterned paper. I stamped some feathers and adhered it under the wreath. The background is made from a piece of coordinating patterned paper and then I cut another pieced of patterned paper into small rectangles and adhered to the background. The envelope is also lined with a piece of coordinating paper. 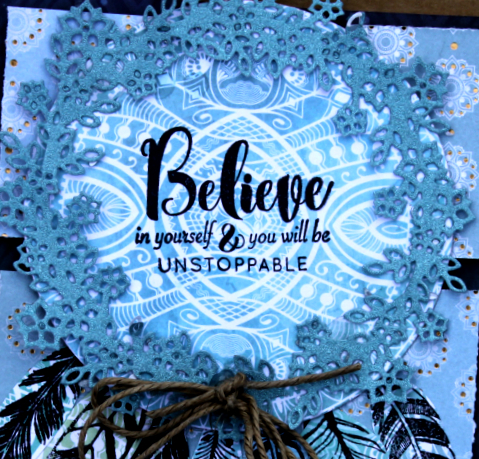 What a clever use of this wreath die Debbie! It really does make me think of a dream catcher. Wonderfully done! WOW what a great idea ... this is awesome! Very creative ... wonderful inspiration ... thanks! Great way to use a wreath that is different than the usual. Love the colors, and you are so right about a more personal note by sending a card. Wonderful! Oh, how pretty! Love all the pretty papers and all the shades of blue. Stunning card!